NEW YORK–(BUSINESS WIRE)–Star Mountain Capital, LLC (“Star Mountain”), a specialized investment manager focused exclusively on the large and underserved U.S. lower middle-market, is pleased to announce that it has been named one of the 2017 Best Places to Work by Crain’s New York Business. Star Mountain specializes in bringing proven, large market resources and expertise to the established small and medium-sized U.S businesses it invests in. Star Mountain’s focus and dedication has been highly productive for job creation and economic development as well as generating compelling absolute and risk-adjusted returns. Star Mountain is dedicated to this large market of underserved businesses with its specialized business model established to address the challenges and opportunities of these companies. As part of its commitment, Star Mountain has trademarked “Investing in the Growth Engine of America.” Star Mountain believes that helping high quality driven employees and business owners is one of the most valuable things we can do for society. Star Mountain’s distinctive business which has helped generate its compelling income and overall financial returns for investors, has also helped it attract some of the world’s most sophisticated global high net worth and institutional investors, for which it is highly appreciative as many of them add more value to the firm than just capital. “One hundred percent of our employees receive a share of the profits we generate from investment returns. Everyone is passionate about their careers and aligned to succeed as the firm grows,” said Chris Gimbert, Chief Financial Officer of Star Mountain whose 20 year career includes Merrill Lynch, KPMG and other private investment firms, in addition to forming his own CFO advisory business prior to joining Star Mountain in 2010. Crain’s two-part survey process consisted of evaluating each nominated company’s workplace policies, practices, philosophy, systems and demographics. The second part involved an employee survey to measure the employee experience. The combined scores determined the top companies and the final ranking. Star Mountain prides itself on providing a year-round Internship program to local students, veterans, athletes and other talented individuals. Star Mountain also believes it is important to promote from within and recognizes those that demonstrate passion, perseverance, determination and grit. Investing in the Growth Engine of America ® – Star Mountain Capital is a specialized asset management firm focused on investing in the large and underserved U.S. lower middle-market of companies with typically over $10 million of annual revenues. Star Mountain’s distinctive business includes a custom-built media and technology platform and brings proven, large market resources to smaller businesses as a value-added lender and investment partner. 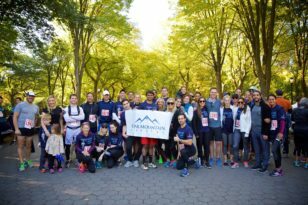 As part of its ESG program, Star Mountain’s Charitable Foundation, a not-for-profit 501(c)3 focuses on improving lives through economic development, including job creation, health & wellness and cancer research. Notable missions include helping match veterans and women with high quality small and medium-sized business career opportunities across the country, including within Star Mountain’s portfolio which in aggregate represents over 200 companies.